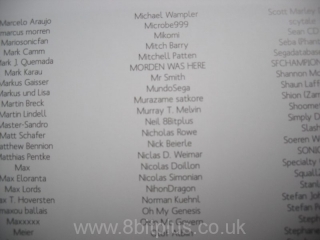 About 6 years ago a group of Sega fans over at the Eidolons Inn forum, known as the Tavern decided to start work on a Mega Drive RPG game featuring characters from the forum. The Inn site and forum is a popular hangout for hobbyist Sega game and emulator programmers. 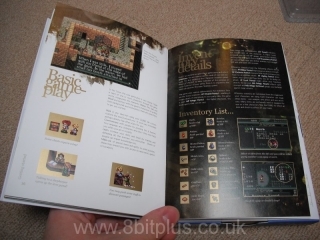 Soon into development a decision was made to create a full classic RPG for the Mega CD. 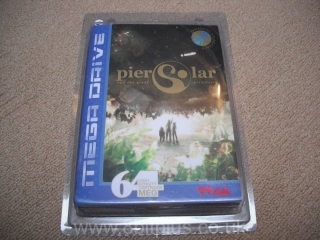 Instead of the initial title of “Tavern RPG” it was to be called Pier Solar. The development team reformed under the name WaterMelon. 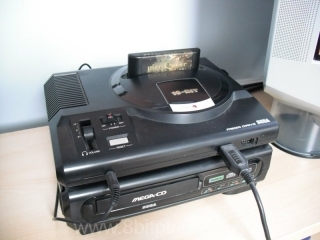 After some time the development shifted to cartridge from the CD due to the Mega CD’s memory limitations. 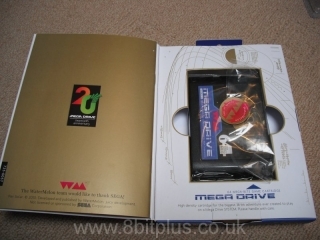 A CD game can be as large as 650mb but the Mega CD only has access to 2Mbit at a time. Cartridge’s can provide their full size with no loading times. The amount of detail from the final game would have been impossible in only 2Mbit chunks loading every few screens. The final game comes on a 64mbit cart. It takes the crown from Street Fighter 2 as the largest Mega Drive rom. SF2 was 40mbit. 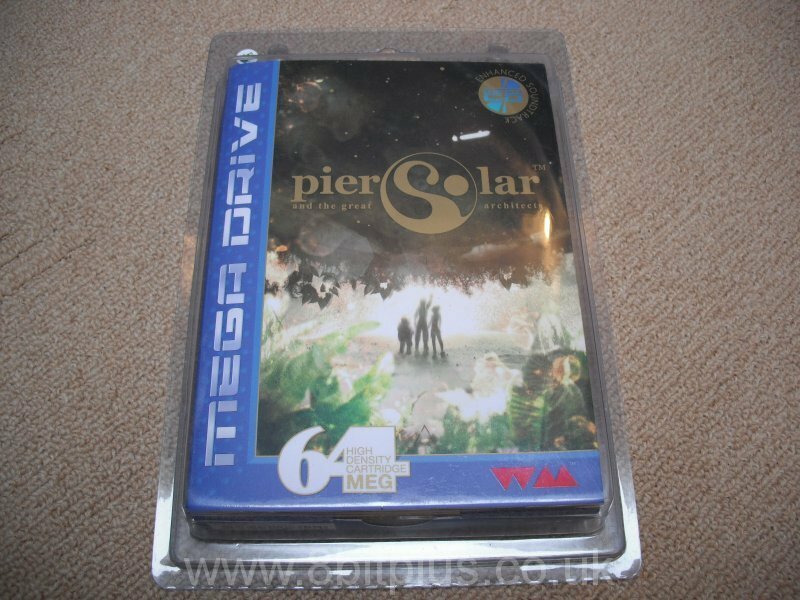 Pier Solar features a fantastic PCM soundtrack on cartridge, but also included with the game is an enhanced Hi-Fi stereo soundtrack CD. 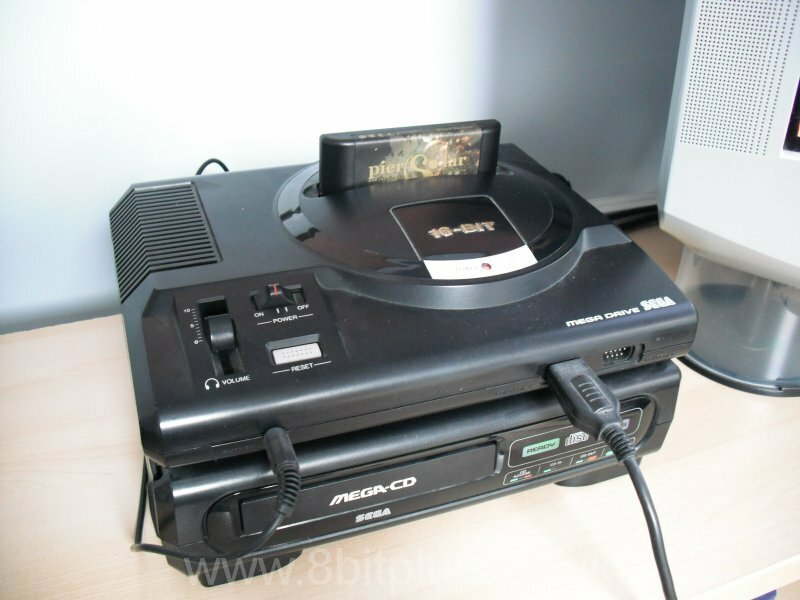 This is for the Mega CD owner as this game has the unique ability to play background music from the CD and the game/sfx from the cart. Nothing like this had ever need done before. The soundtracks on the cart are very good but the CD gives a much richer sound. There is a slight lag on mk1 Mega CD when starting tracks from CD, but the overall effect is wonderful. Per-orders (including mine) started to be taken for the game back in 2008 for a limited time, with a hope of a launch in late 2009. As you would expect with a project of this scale thing ran over deadlines and there were many hold-ups. Bug testing was the main culprit as well as language translation. 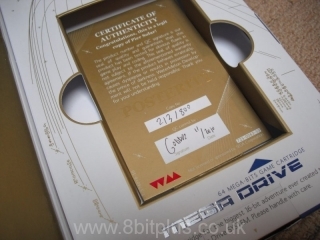 At last in December 2010 the game moved to gold status and shipped out to per-order holders. The game came in a choice of three designs, matching the official looks of each region. Two edition were available to pre-order. Classic and Posterity. Classic should be considered the standard copy of the game, whereas posterity is the special edition. 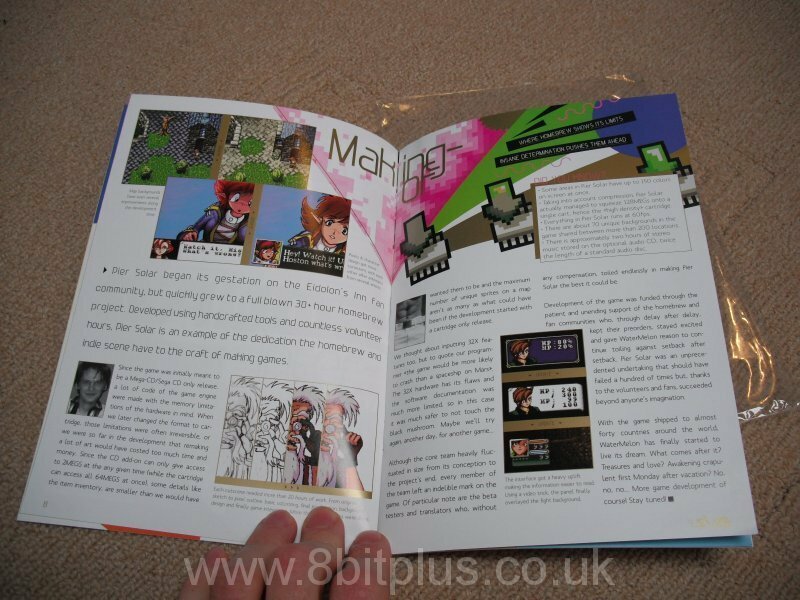 The biggest bonus of the posterity edition is having a credit in the manual and on the game ROM. 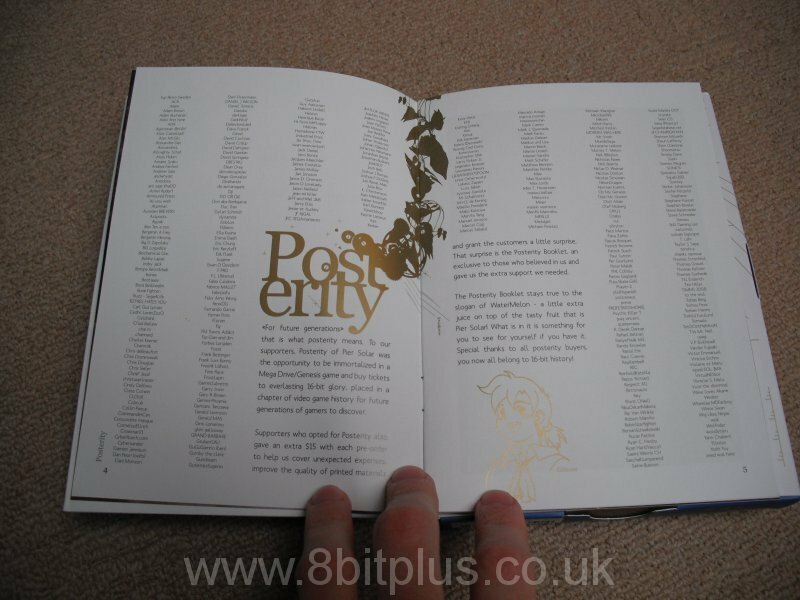 This is indeed a very limited edition copy, only 800 of the first print were made. 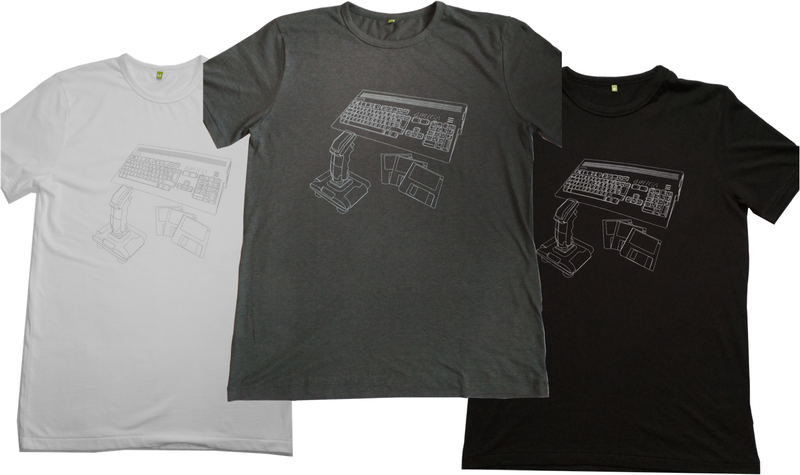 I ordered the posterity package in the euro style. Then main box is cardboard with a strong plastic shell. The cover design in perfect and looks very original. A running theme through out the packing and manual is the gold detailing. Very high quality. 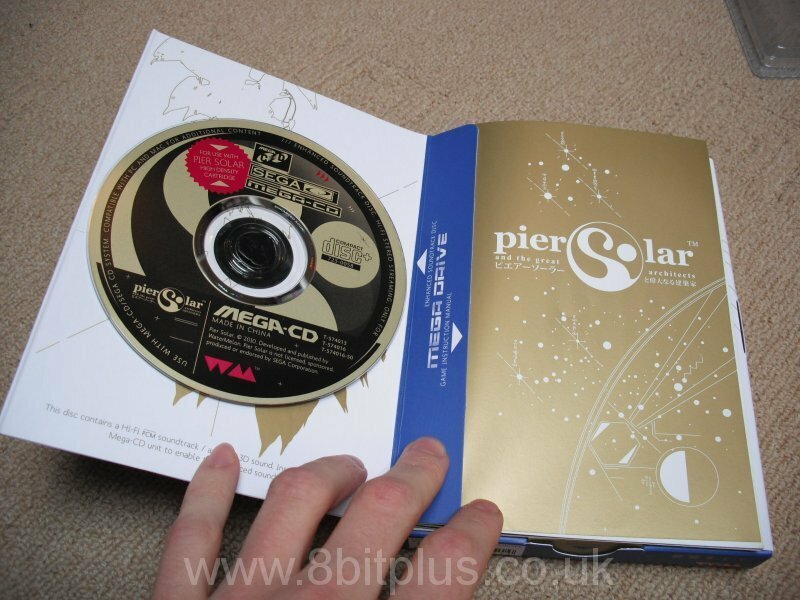 A look inside the cover reveals firstly the Pier Solar soundtrack CD, the full colour manual with special credits and then the all important 64mbit game cartridge. 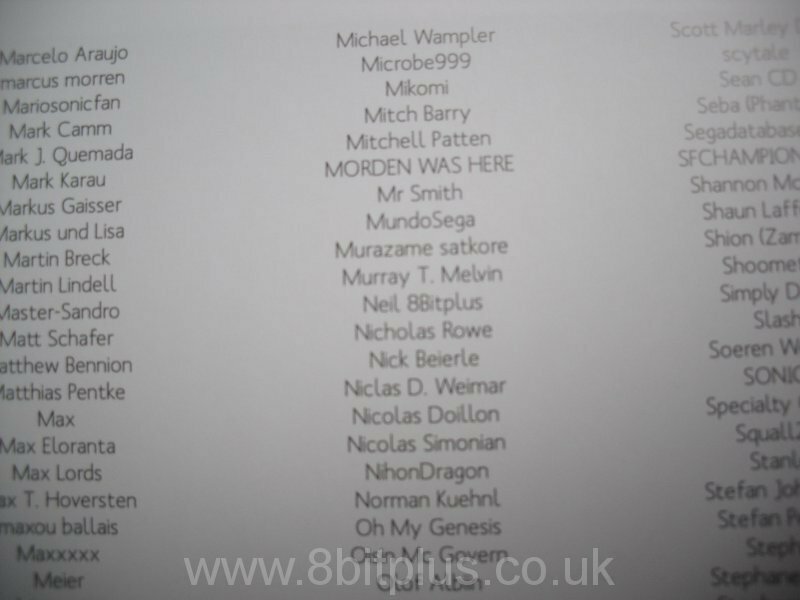 Inside the manual you find the posterity credits. under the cart is a small certificate with my game copy number. 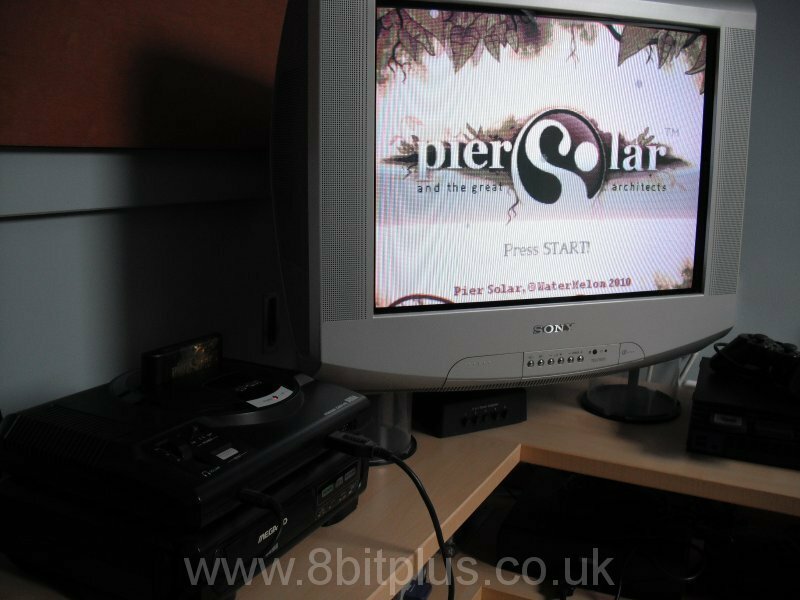 Here you can see my modified PAL Mega Drive and Mega CD running Pier Solar. 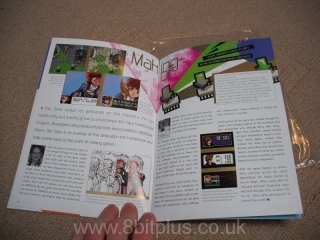 Also included with my copy of the game was a small magazine. 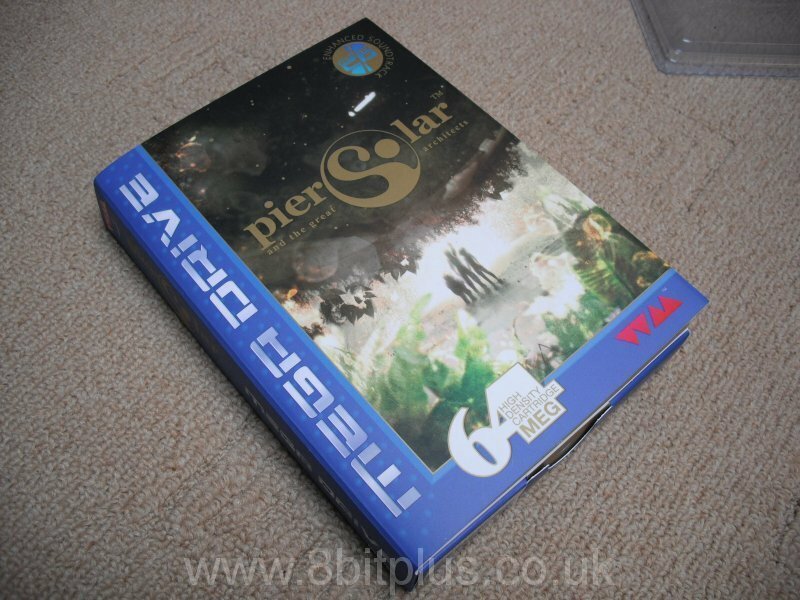 Suitably called “SIZE” issue 16 and is dedicated to Pier Solar. It includes info on the developers, interviews as well as maps and tips. In just one word, “Excellent”. The graphics are by far better than any other RPG on the Megadrive. I think they make Phantasy Star IV look a bit dated. The overall feeling is like a late SNES game. 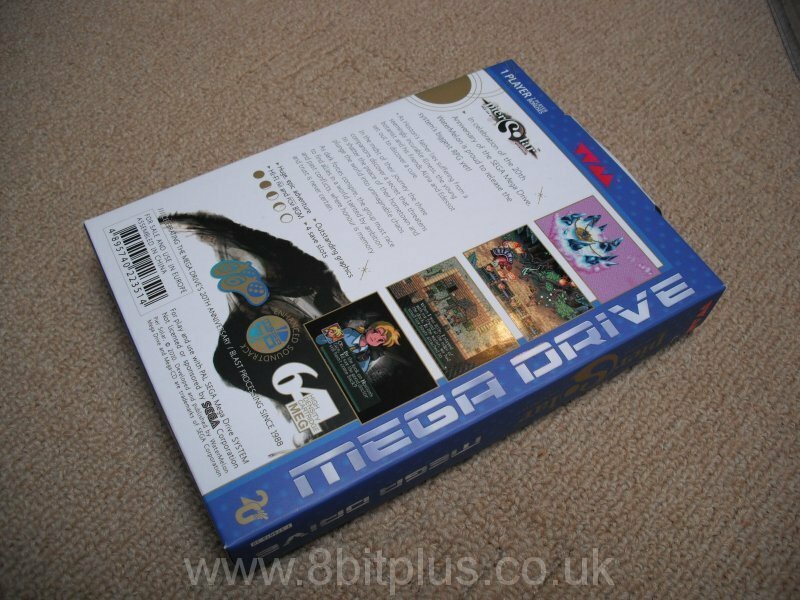 The developers managed to squeeze out more on-screen colours than any other title (150 at some points) and many affects that wouldn’t normally work in the Mega Drives hardware are produced in software. The attention to detail is constant through out, and its hard to remember sometimes that this is not a big budget game from Sega. The game play is great, but rather conventional. It has all the usual components of a good RPG. The combat system is simple and effective, using the standard attack, defend, magic and item systems that you come to expect in this sort of game. The story is a bit generic, as well as the characters and NPC’s. It has quite a feeling of Grandia about it, but I think its true to say it uses a tired and tested recipe. 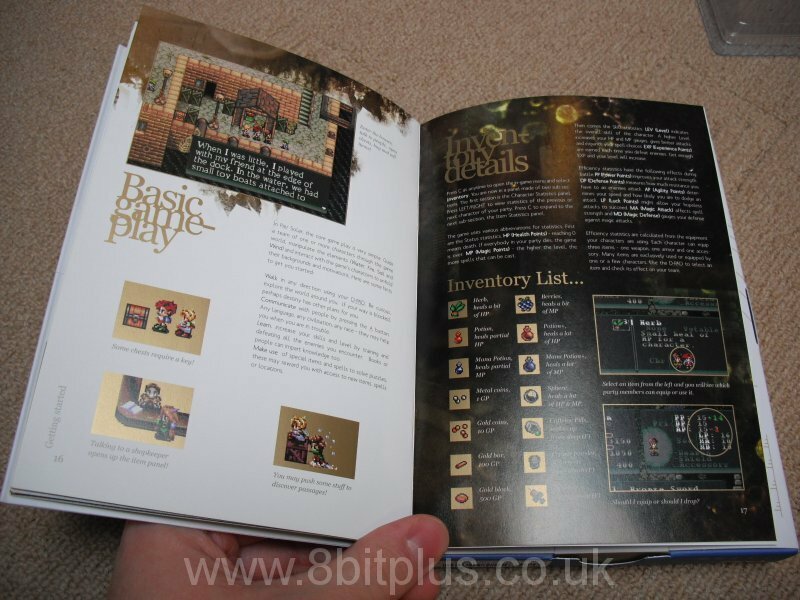 If you want to play this game then head over to the official site to per-order a reprint copy. Team Watermelon are also looking to get this game in XBLA in the near future. Its a fantastic testament to the old Sega hardware, and it shows how much people love good old fashioned playable games. piersolar.com – The official Pier Solar webisite and forum. Pier Solar wiki – Wikipedia entry.